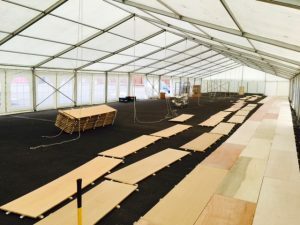 Monaco Marquees were privileged last month to be trusted by the Irish guards regiment to build a marquee to host their St Patricks Day parade celebration. The day had special importance as the guests of honour were no less than His Royal Highness the Prince William and the Duchess of Cambridge Princess Katherine. It was erected on the Irish Guards Parade square situated in Mons Barracks, Aldershot. I wanted to write this blog to explain the process and challenges that the job posed for us. 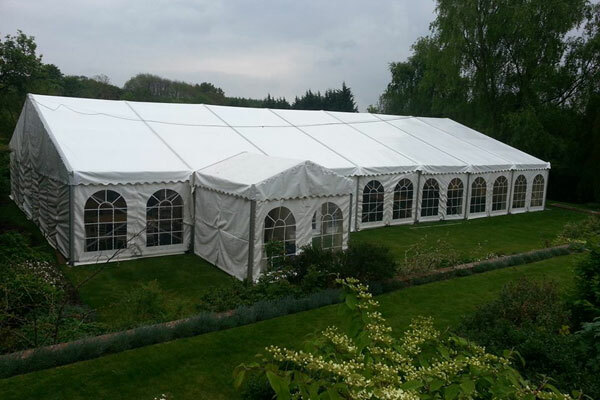 We had the opportunity to tender for the job as we had provided a similar marquee for the Sergeants Christmas Ball. Word passed to the commanding Major of the Irish guards who contacted us requesting a site survey. 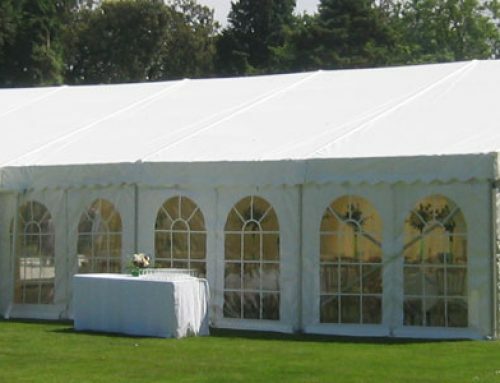 I met with the major to talk through his requirements and was excited at the prospect of supplying a marquee for such importance. 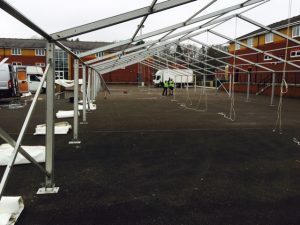 The main problem that I could identify with the job is that the marquee was to be erected on the concrete parade square and we were unable to drill the marquee into the hard surface. Usually if we cannot drill into the ground we would use water weight to anchor down the structure but on a marquee this size that would not be possible so it was certainly something to take into consideration. For a job of this magnitude we employed the services of a local Haulage firm to transport all of the heavy frame work and flooring. 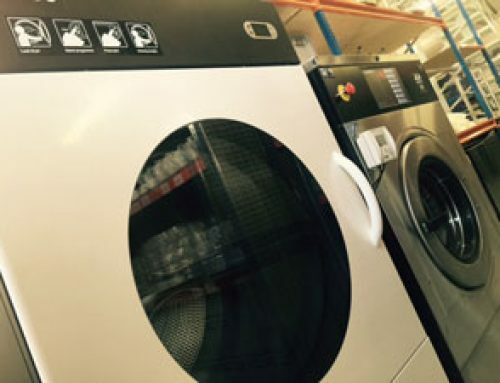 This made operation incredibly simple as all the equipment arrived at once. 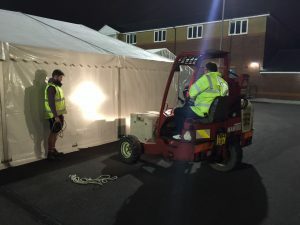 To get around the dilemma of weighing the marquee down we used a firm to deliver and supply concrete weights which we then ratcheted the marquee to. In total there was 28 tonnes of concrete to use as anchors so there was no possible way the wind could pose a threat to the event. Once we had built the structure and applied all of the canvas it was then time to lay down the hard board flooring. A total of 280 boards were used which was incredibly hard work and time consuming. 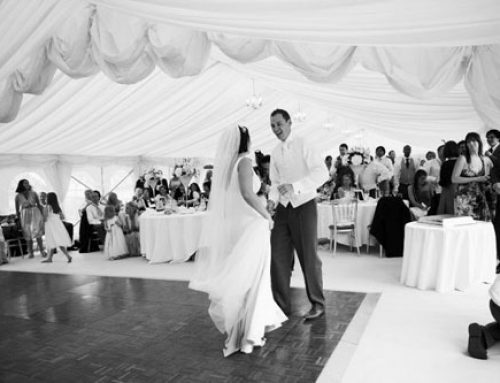 The team did an amazing job with the floor as it was nice and flat and solid to walk on. Carpet was then laid over the top to complete the look. 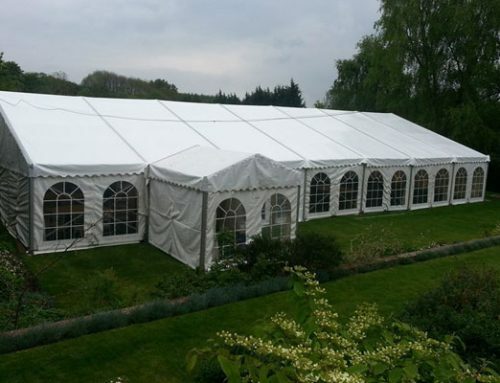 Now that the graft was complete it was then just a matter of dressing the marquee in our ivory pleated linings with blue and red swags which are the Irish guards regimental colours. The lights and the heaters were installed on the last day and the job was complete. 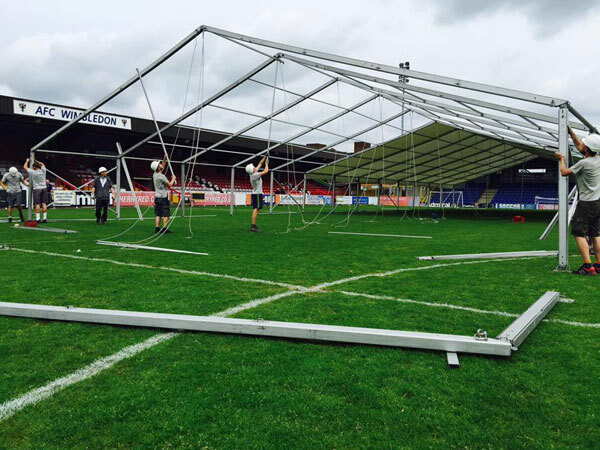 We were on site for a total of 7 days including de-constructing the marquee. 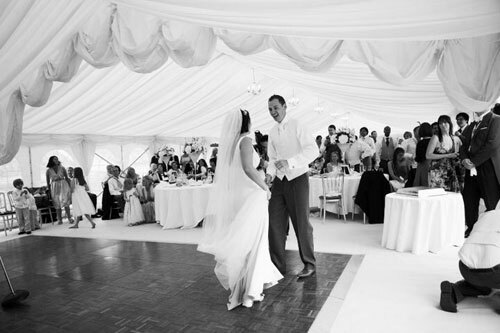 We were thrilled that the event was a huge success. 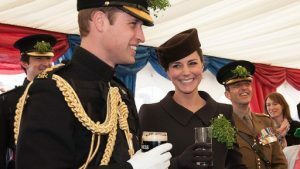 We received amazing photos of the Prince enjoying a nice pint of Guinness in our marquee as well as external shots of the duchess meeting and greeting members of the Irish guards. We would like to thank everyone involved in the job and very much hope that we can continue our strong working relationship with the British Armed Forces.